What do you tell your clients when they ask how much time it will take to do a particular project? Time is always an issue when a client is thinking about hiring an interior designer. We often charge by the hour, so if a project takes more time than clients think it should, they are less likely to hire you. Being upfront about your fees and how you work make for a good start to getting a client to understand how you view and use time. Designers see time by hours, not days or weeks. Our job is to schedule the needed hours it takes to create a design from the information we get from our clients. That means if a client hires you without truly understanding why, then as a designer you will have a difficult task ahead of you. These are some of the strategies that I have learned over the past 25 years as a professional to help clients understand the way view and use time in my projects. Always know who you like to work with. If you are just starting out in your design career or business, it can be hard. All experienced designers have client war stories. They are the clients that were so difficult to work with that the designer swears they will never work with them again! The same is true for clients; if they have one bad experience working with an interior designer, they are less likely to hire another one. Being upfront about what you expect a client to provide in the beginning — before you even decide to take the job will help manage this misconception about time. The other big factor in time management is keeping yourself on track. We all get distracted, and if we are working on multiple jobs that are similar, it’s easy to multitask, which can lead to mistakes. If you are working on multiple bathroom or kitchen remodels, you might feel that you can save time by using some of the same drawings or even samples to convey a design concept to several clients. Beware of this, however; if you do not have good organizational skills, you can get into a situation where you are using those precious hours revising details. Don’t assume the client understands everything you are talking about. For example, if you are showing a selection of finishes for example that you think might be of interest to them, make sure you explain that these are options and not the final selections. If you want the client to make clear decisions in a timely manner, limit their choices. People who use professional designers regularly know that by doing so, they are exposed to the newest products available for interiors. First-time design clients who are hiring you know this, too, even if it’s at a subconscious level. They sometimes expect you as the designer to make the choices for them. We are not mind-readers, but we can be more strategic. To do this, we need to be better at asking questions. Getting the client to answer complex questions is sometimes difficult. How you ask is just as important as what you ask. If you want a client to decide on a budget, make sure you give them real examples of what their money will buy them. If they still are complaining about the costs, remind them that they are not shopping at Target or Ikea. Using a professional designer doesn’t mean everything is free, not even the time you use creating the designs for their project. That is why it is important to make sure you are as upfront with your clients as you can be before you start working with them. This is truer with residential projects than with commercial, but even commercial interior designers get clients that have a hard time understanding the costs and time associated with completing any interiors, regardless of square footage. Time is money — no matter what profession you are in. But it’s especially true in interior design. Time delays, if they occur from indecisions, shortages or just plain lack of planning, can be frustrating. Change orders that are issued after decisions are made because of bad planning often result in fee reductions for designers, contractors and other consultants. 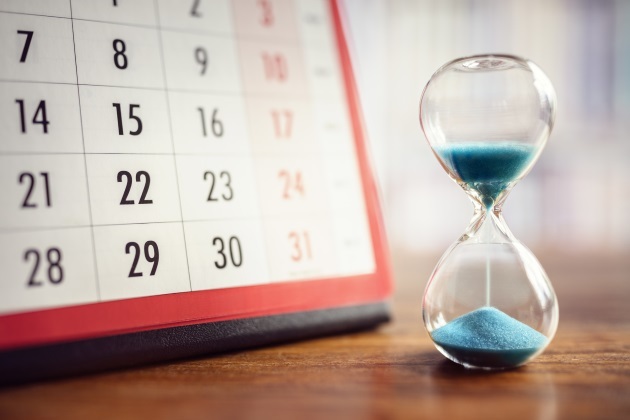 If a contract is written that is based on a time schedule that needs to be met, the client and the design team need to make sure that it is truly realistic and can be done before that date is written into the contract. Change orders happen all the time, and some clients expect it, especially if they are doing multiple projects. But when a change order results in a huge time delay, the project loses its momentum and sometimes the result is a disappointment to not only the client but to the entire project team. Remember, you are not the only one involved in this venture. A project takes multiple people besides just you and the client. Making sure the client is aware of what you can control and what you can’t before you start is a better strategy. People in general are more understanding if you are honest with them about a situation than if you try make up excuses or blame someone for the delays. Know that your client might not tell you everything. They might not let you know that there is something else that they are dealing with that is keeping them from making timely decisions. Experienced designers know this, they know that life in general is unpredictable, and that even agreed-upon plans change midstream. Experienced designers deal with unpredictable time stealers by overestimating instead of underestimating. If a client wants something in two weeks, they tell them three or four. Expectations for when a project is completed should be based on what you say not what the client says. Designers are skilled at creating complex designs. Time estimates, scheduling multiple disciplines and trades are part of that complexity. Clients who understand this are golden! They know that what we do is not magic. Clients with an understanding of what we do with our time and how it translates to their finished project are why we do what we do for a living. Help your next client understand this by giving them clear, understandable documents, drawings, and time schedules. Make sure that you are organized and focused. Project management isn’t usually taught in design school. It is learned on the job through trial and error, but once it is mastered, then time estimates are more accurate, projects go smoothly without the frustrations and clients are happy they hired you. Susan Mulholland studied interior design at Northern Arizona University and is an NCIDQ certificate holder. She has more than 25 years of interior design experience in commercial and residential design. Her design philosophy includes sustainable design practices for all types of projects. Her experience in the industry includes working in healthcare, senior living, hospitality and corporate design. Her design studio Mulholland Art & Design Commercial Interiors is in Tucson, Arizona, where she has been helping her clients with consulting and design on purposeful interior projects for the past 17 years. Learn more about Susan and the work she does at Mulholland Art & Design Commercial Interiors. Connect with her on Facebook and LinkedIn.